Frozen yogurt and ice cream dessert shop Yolé has a total of 29 locations in Singapore, including one at Bedok Mall (311 New Upper Changi Road). 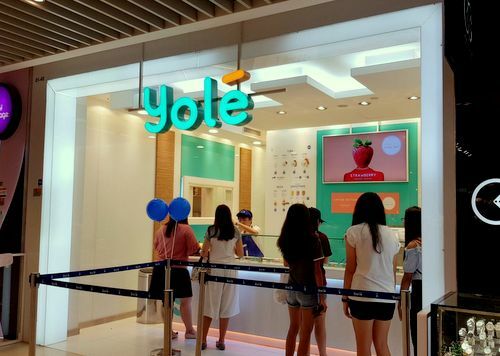 Launched in 2017, Yolé offers a range of soft creamy frozen multi-flavoured yogurts with a range of delicious toppings, blended smoothies, soft-serve ice creams (such as coconut flavour soft-serve ice cream), as well as specialty desserts. 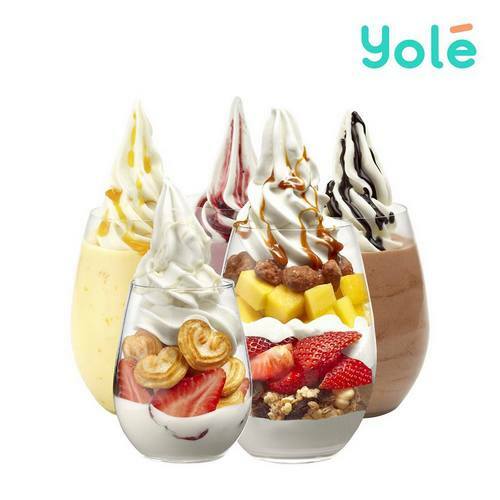 At Yolé, you’ll have the ultimate control to customize your own dessert, where you can choose between the original or flavoured frozen yogurts and top off the dessert with fruits, crunches (from caramelized biscuits, sunflower seeds, almond brittles to crushed Oreos), all-time snack favourites, and Spanish sauces. All in all, there are more than 1000 combinations available to customize the dessert to your personal tastes. In making the products, Yolé emphasizes quality, where they source the ingredients from Spain and Italy, using fresh, hand-cut fruit and never fruits that are frozen, canned or in syrup. The official Yolé Singapore Facebook page is located at www.facebook.com/YoleSingapore. Yolé SG also has an Instagram account, available at www.instagram.com/YoleSingapore.